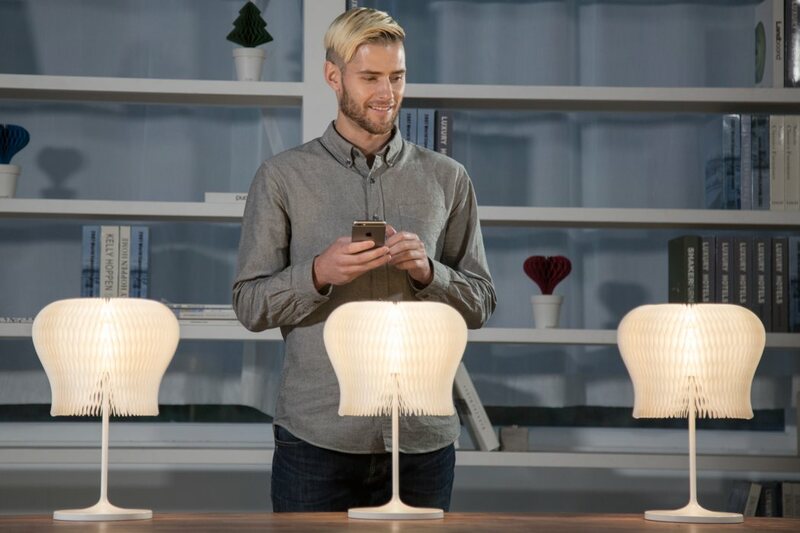 The D’Light is a kinetic lighting device that adapts its style based on the kind of mood you’re trying to set. 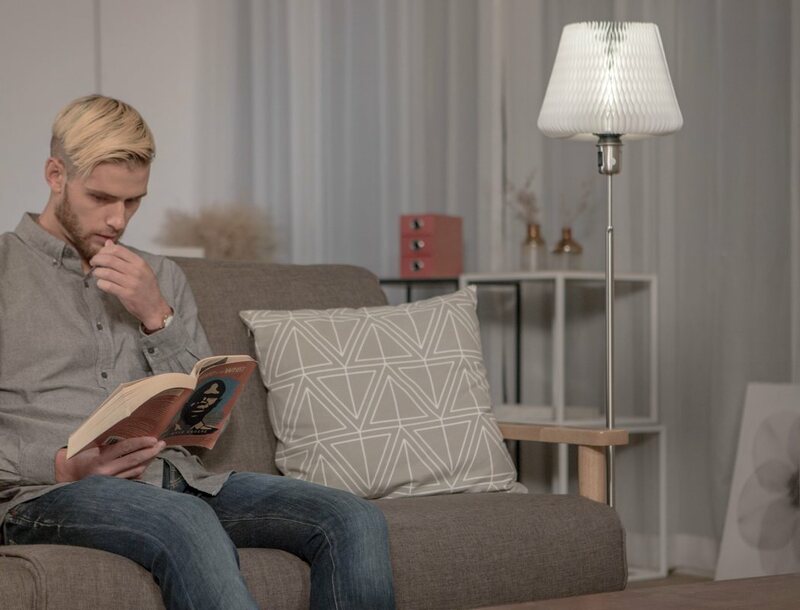 With the ability to orient itself in various different shapes, each with a completely unique character, the D’Light works beautifully as a table lamp, a floor lamp, a hanging pendant lamp, or even an ambient kinetic-artpiece deserving to be in the center of your home! 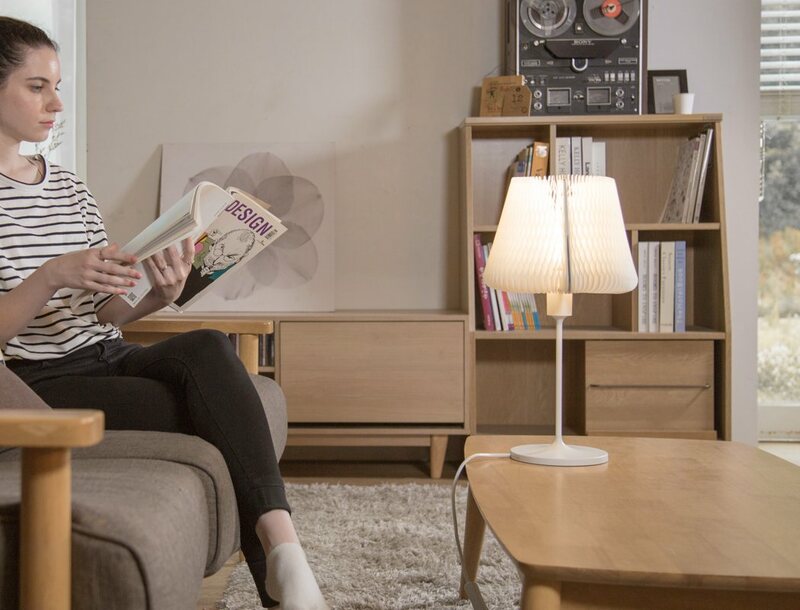 The lamp comes with a table-top base, but can be attached to any outlet, as long as it has the freedom to freely shape-shift. 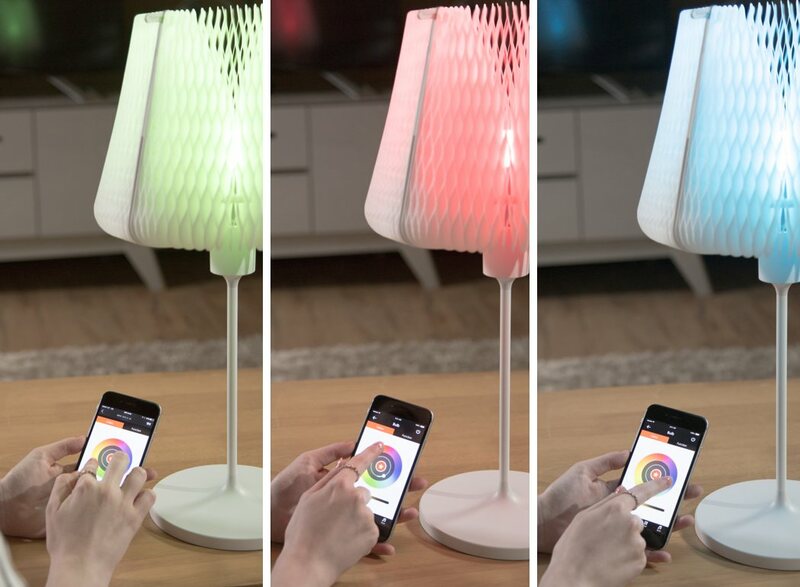 Fitted with a smart-bulb on the inside that can change colors, the lamp has a honeycomb-esque paper pattern on the outside that can freely rotate, and comes mounted on a specially designed frame that turns via a motor, controlled by the D’Light app. 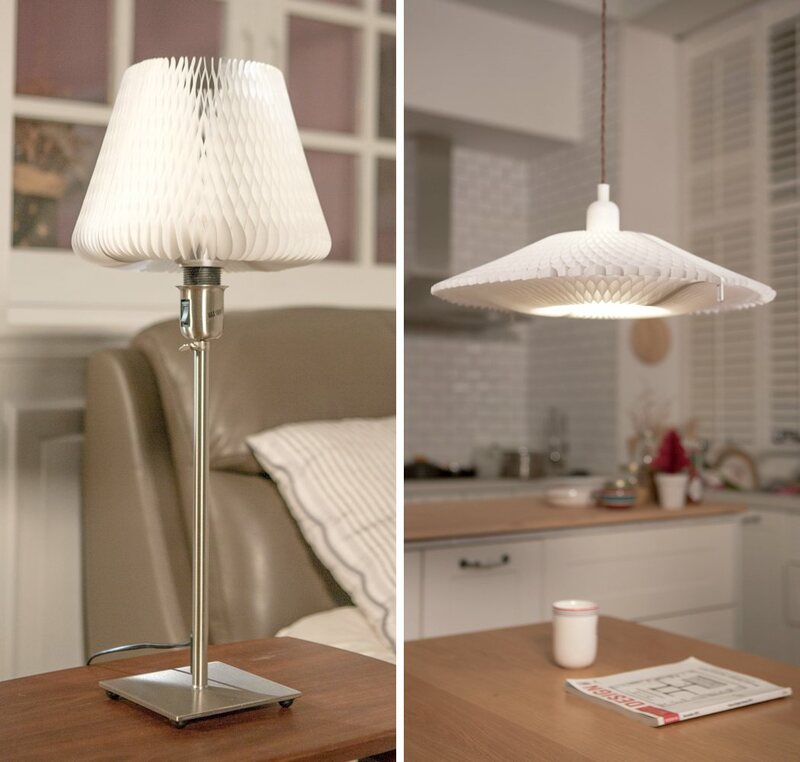 The highly intriguing honeycomb pattern not only allows the lamp to rotate the way it does, but it also does a rather wonderful job of scattering the light. 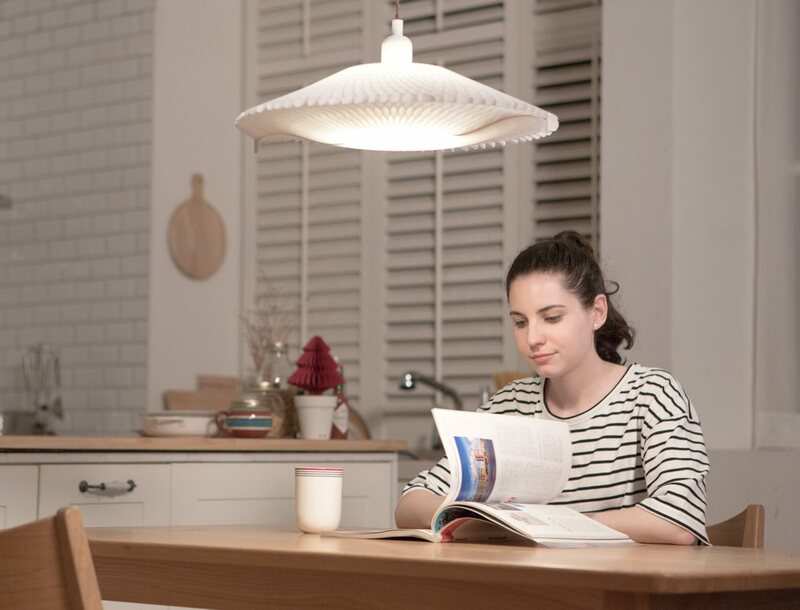 The honeycomb lampshade is tear-resistant and washable. 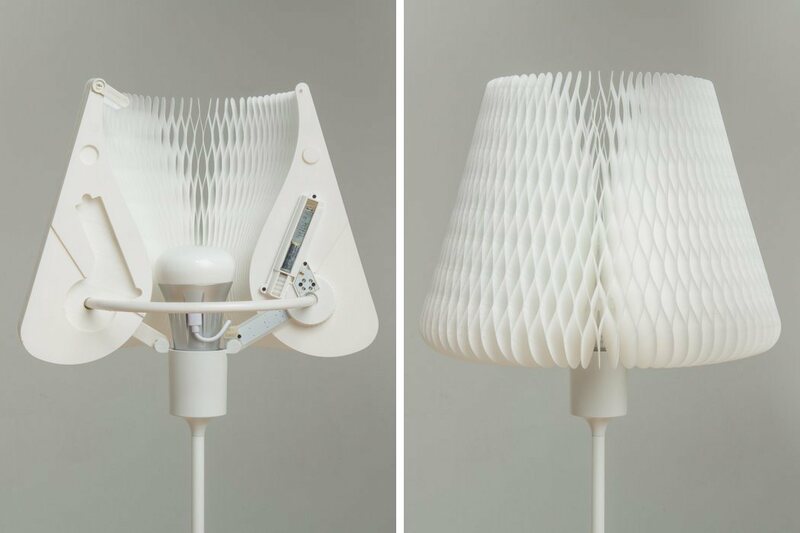 The jellyfish-esque D’Light is a winner of the Good Design Award, the iF Design Award, and the IDEA Design Award. Plus, all profits from the D’Light go to providing educational scholarships (Donation + Light), reinforcing the metaphor of light being a symbol of knowledge and wisdom! 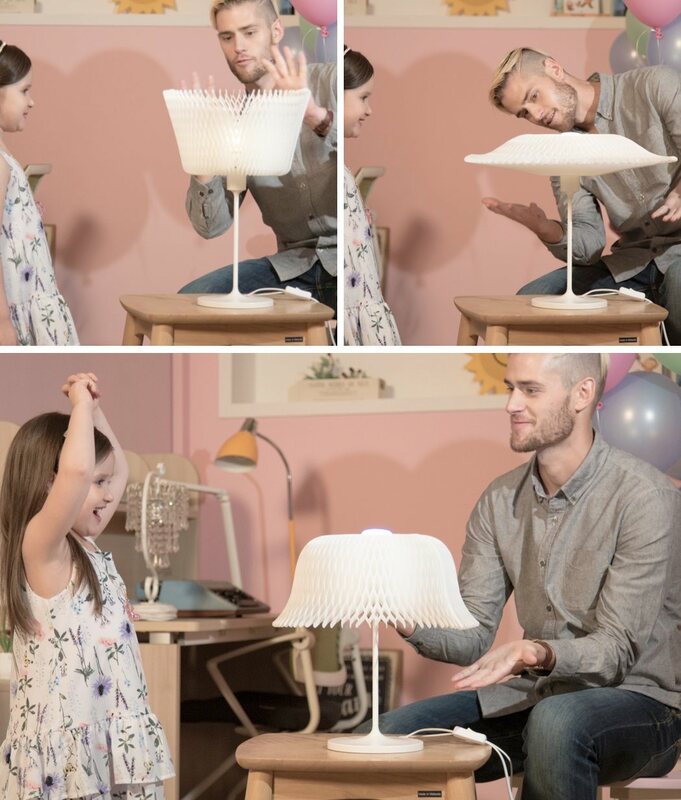 Also we recommend you to check Chocolate Lamp and Floating Lamp.